To keep a more casual outfit looking polished, pay attention to all the details. Little touches can amp up your jersey’s and knits. For this look I kept my colour palette quite neutral and then added a few richer looking accessories. 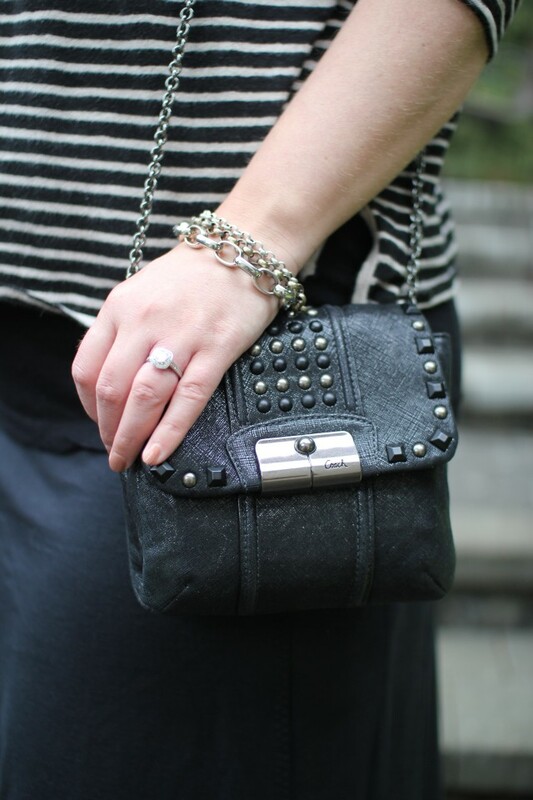 I went with a studded bag and sandals, long silver necklace, layered bracelet, and sparkly stud earrings. Other details like a fresh hair cut ( and color) and polished toes and nails allow me to feel great in whatever I put on…even casual looks.